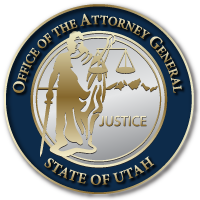 WASHINGTON, D.C. – Today, Utah Attorney General Sean D. Reyes was featured alongside federal leaders to sound an alarm and share tools for combating the opioid epidemic. The conference was hosted by the White House Office of Intergovernmental Affairs to foster collaboration and discuss best practices in addressing the opioid crisis in neighborhoods, communities, and states. Officials from over forty states, territories and tribes attended the conference. In addition to Attorney General Reyes, the panel included Jim Carroll, the Deputy Director for the Office of National Drug Control Policy (ONDCP), Admiral Brett Giroir, Assistant Secretary for Health at Health and Human Services, Anne Hazlett, Assistant Secretary for Rural Development at the United States Department of Agriculture, John Martin, Assistant Administrator for Diversion at the Drug Enforcement Agency, and Andrew Bremberg, Assistant to the President & Director of the Domestic Policy Council. 1) $930 million in State Opioid Response Grants from the Office of Drug Control Policy (ONDCP) and Substance Abuse and Mental Health Services Administration (SAMHSA) to support community-driven solutions. 2) First Lady Melania Trump’s “Be Best” initiative, which has focused on the issues children affected by the crisis face, particularly neonatal concerns and the importance of educating parents on healthy pregnancies. 3) The Drug Enforcement Agency’s (DEA) collaborative efforts with state, local, private sector, and non-profits agencies through the prevention program Drug Take Back Day. 4) The ONDCP, Ad Council, and Trump Administration’s partnership for the Youth Opioid Prevention Ad Campaign. 1. The livestream of the public portion of the conference is archived here. This entry was posted in Recent Posts and tagged Opioid Crisis, Opioid Epidemic, Sean Reyes, trump administration, white house on September 28, 2018 .